About Your Business Through Bluetooth! ​WATCH THIS SHORT 3+min VIDEO AND SEE BELOW TO GET STARTED! Work part-time or full-time in the comfort of your home-based office! Introducing the "GO’ Device. This is the product you'll be buying and selling! 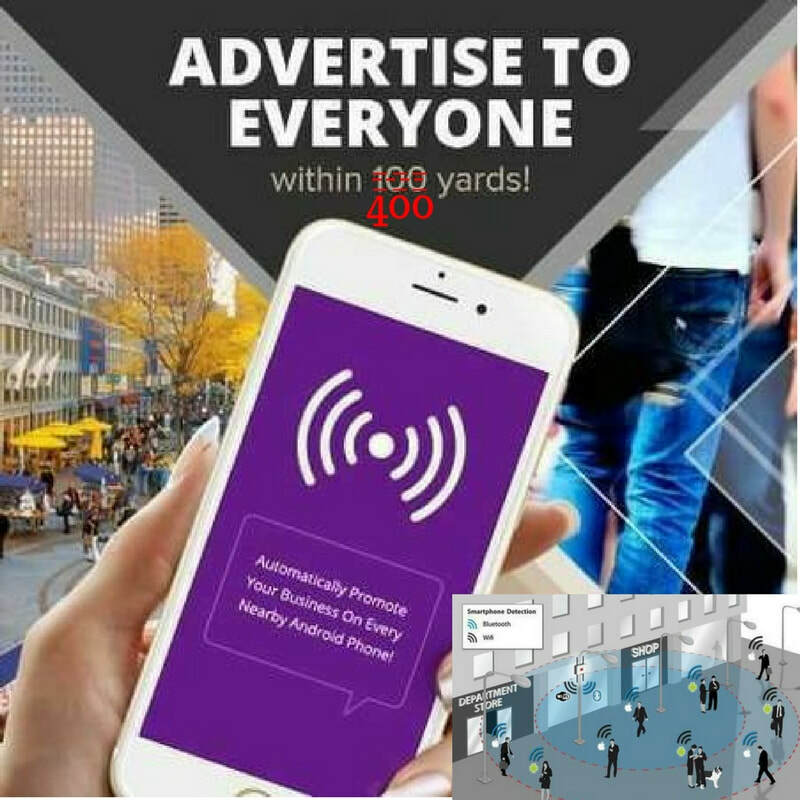 The GO automatically promotes businesses and attracts NEW customers by sending notifications to every phone and device with a 40-character message or the GO Plus up to 191 characters and a picture/video to YOUR clickable link within a 400-meter radius (4 football fields) of wherever the GO is located! It's Incredible! GO works in all but 2 countries. No one has seen them, so your customers will be instantly intrigued! This tiny device fits in the palm of your hand and is easily set up in your back office just by typing in the message and link you want. The Device instantly promotes your businesses. The Device is a truly remarkable and innovative technology! Businesses buy dozens of them at a time! People leave them in high traffic areas and in their businesses. These work anywhere; in your business, restaurants, Karate Studios, conventions, in your pocket, car, stadiums the list is endless! Some of the in-demand business categories for our Device Include: political campaigns, real estate agents and rental communities looking to reach customers can send messages about their open houses, agents attach the Device to their signs that will have a link where you can send pictures of the properties that are vacant and for sale. All Devices come with adhesive on them, have a two-year battery life and are waterproof! Place a Device in each of your properties, so that anyone driving by or viewing the property can watch a virtual tour of the listing or will be directed to a download link where they can receive a comprehensive property report and demographics of the area. Your message can lead customers to a mortgage payment calculator or a pre-qualification questionnaire and your immediate contact information! All this is limited only to your own imagination and creativity. Place a GO in each of your properties, so that anyone driving by or viewing the property can watch a virtual tour of the listing, or be directed to a download link, where they can receive a comprehensive property report, and demographics of the area! Your message can lead them to a mortgage payment calculator or a pre-qualification questionnaire and your immediate contact information! Do you have your company logo on your vehicle? Now drive that message to people within a 400-meter radius of you! With our Device in your vehicle promoting your company with a message that is up to four football fields away in all directions! Vape Shops: "Vape Juice Specials Today STOP BY NOW!" OR "name of your vape shop with an exciting message directing them to your shop with your link directing them to your app/site/landing page. MORE DETAILS: This can be a get out there and present the product type business and or you can promote the business online and to businesses that will use it. I will explain more when we speak. I will teach you the entire process down to the questions your prospects will ask and the answers to clear up any information they may need. You're earning upfront commissions and residual income. 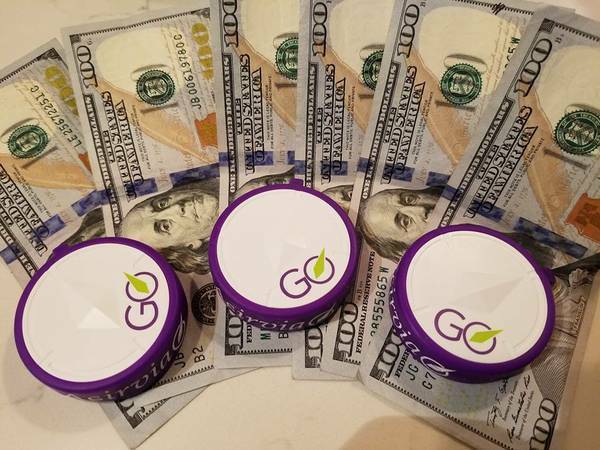 When the customer signs up for the service (just like they do their cable/internet bill) you get paid, and then every time your customer pays their monthly bill for the services you get a monthly override, AND THERE'S ZERO COMPETITION, NONE! It's a 90% 1 Presentation Close - 15 Minute Sale! Once you see the two minute video on how it works (the same video you're going to show your prospects) you'll understand why it's such a game changer and why your prospects are going to say " let's do it!" with no consideration, but a few questions on how it works. Get this: 3 devices are $69/month, and for a small business owner this is PEANUTS, but you get a % of their monthly bill and they never stop paying because of the value you get from the new business coming in! Have you ever wanted to build an internet business? By joining our team you will have access to cutting edge websites, video presentations, email marketing tools and more... to help you build your business using the internet and social media! Why join our team? Training and support is essential in business today. We have the best training and support in the business. Many of the top distributors are working with this team. TEAM = Together Everyone Achieves More! Join a WINNING TEAM NOW! We provide many weekly trainings and zoom calls for your prospects to just jump on and learn. We have a simple training online system in place so you can learn to build your business at your own pace and from anywhere you choose. You'll be able to learn directly from our top leaders as well as your personal success coach! Got Questions? Book a time to talk.